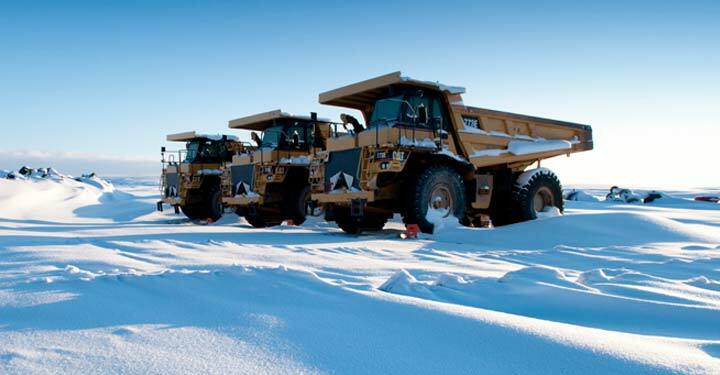 WHAT IS THERMA-START™ FOR OFF HIGHWAY EQUIPMENT? 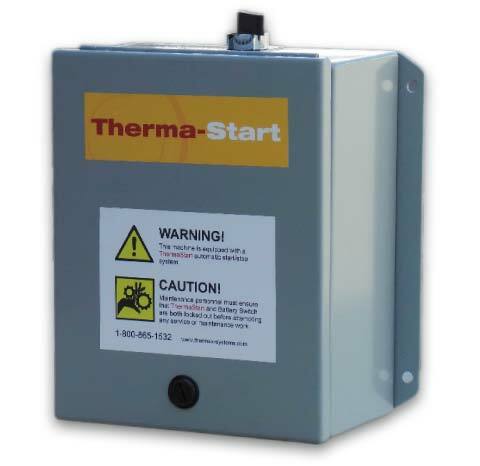 Therma-Start™ is a non-invasive retrofit start-stop system that easily installs on diesel-powered vehicles and equipment. The system eliminates unnecessary idling, saves on fuel consumption, extends oil change intervals and saves on maintenance costs. The latest in Start/Stop technology, Therma-Start™ is the definitive way to drastically reduce and manage operating costs while achieving major emissions reductions. Therma-Start™ is constantly monitoring the engine block temperature, battery voltage, and for air-start machines the tank air pressure. When the block temperature drops to a pre-set point, the engine automatically starts. Therma-Start™ is programmed to go through a safety signaling delay before initiating each start-up cycle. When the engine block resumes optimal temperature, Therma-Start™ signals the engine to automatically shut down. Therma-Start™ also continuously monitors battery condition so a start-up can be initiated if a battery is losing charge due to cold weather extremes. Operators can confidently walk away from their machines knowing that Therma-Start™ is in charge! In this example, from fuel savings alone payback is accomplished in less than 1 month! When you also factor in significantly extended maintenance intervals (ie. differential rebuild) along with greatly reduced wear and tear your payback savings escalate dramatically.